We are the leading manufacturer, wholesaler and exporter of Cold Storage Room to our valuable clients. Our organization has gained immense industry accolades in production of Commercial Cold Storage Room to our clients. It has ample space and is widely used for cooling purposes. The visually appealing appearance and sleek design of our range would be appreciated by our clients. It is equipped with machineries which are able to give smooth and vibration free operation with low noise level. We are offering Commercial Cold Storage Room at nominal price. 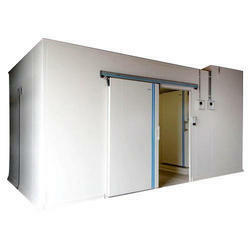 Keeping in mind the diverse requirements of our clients; we are offering Modular Cold Storage Room. It has modular design and is developed to last for decades with minimum maintenance. Manufactured at par with set industry parameters; Modular Cold Storage Room consists of high precision fully machined components which help in cooling process. But the best thing about our range is that it is free from all types of defects. 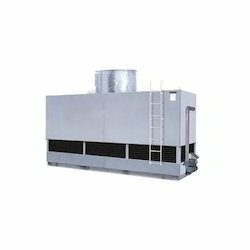 Our organization has gained name and fame in offering PUF Cold Storage Room of excellent range and quality to our clients. 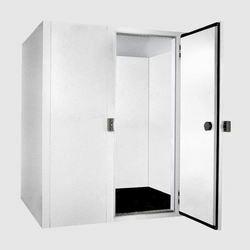 It consists of walk-in chamber and stability chambers and has rigid panels which could be kept quite easily. PUF Cold Storage is based on modular design and is custom-built to suit specific needs. Post production, the experts have done rigorous testing of our range on well-defined parameters. Our organization has gained immense accolades in offering Cold Storage Room to our clients. It is renowned for its ample space and is recognized for its premium quality and latest range. Cold Storage Room is designed in an excellent manner and touch of perfection is visible in its breathtaking designs and appearance. But the best thing about Cold Storage Room is that it could be customized according to client’s choice. We are dealing in both type of new and old cold storage Room. Now we are introducing COLD ROOMS WITH SOLAR POWER. 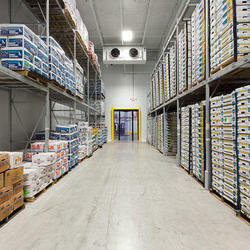 Leveraging by the in-depth experience and knowledge of this domain, we present clients with the superior quality of Multi Commodity Cold Storage Room. For the purpose of storing products under controlled low temperature, the offered multi commodity cold storage is used. Fabricated as per the industry laid norms, the offered multi commodity cold storage is known for its excellent temperature stability and consistent performance. 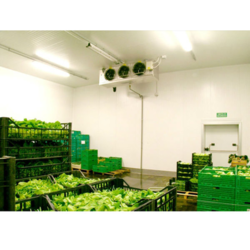 In a zest to attain maximum client approval, we provide clients with the optimum quality of Vegetable Cold Storage Room. Excellent power consumption, low maintenance and optimum functionality, the offered cold storage is used for the purpose of storing vegetable under low temperature. By following total quality management, the quality of the vegetable cold storage is never compromised. Our organization also offering Used Cold Storage Room to our clients. Cold Storage Room is designed in an excellent manner and touch of perfection is visible in its breathtaking designs and appearance. It is used for fruit , vegetable , medicine .